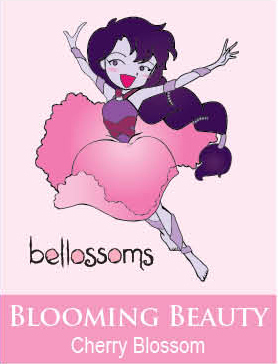 The children’s book series, Bellossoms, brings you Japanese Cherry Blossom Body Wash. Tender cherry blossom, fresh white lily, and blushing violet petals blended with a hint of vanilla to warm up your day! Colored with super fine glitter and mica powder to add a little sparkle to bath time. 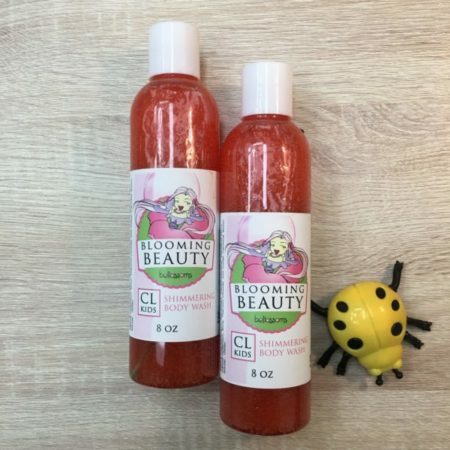 Inspired by the children’s Bellossoms books, this body wash is sure to inspire your young daughter’s imagination. 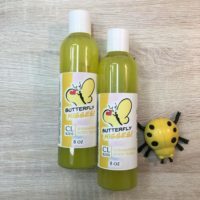 Inside the bottle of body wash your child will discover a toy, that may starts their next adventure, in or out of the tub. 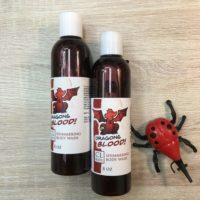 This is sure to be a hit during bath time!